Sri Lanka’s surging ICT/BPM exporters facilitated by the EDB have made a splash at the recently-concluded top IT trade show of Asia, notching $ 1 m in immediate contracts and also securing many JV calls. 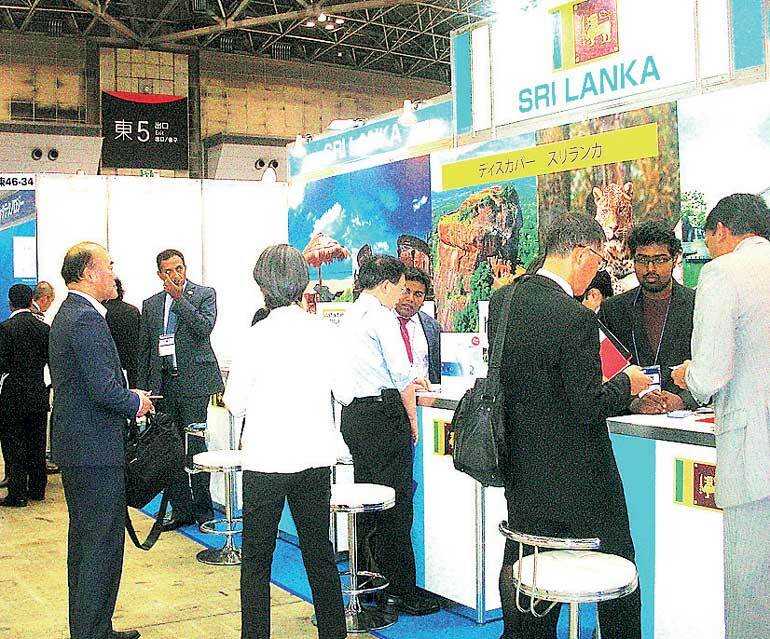 The EDB-facilitated Lankan delegation of leading six ICT/BPM firms generated more than 35 international software business leads and entertained 12 inquiries for serious Joint Ventures in a short period of three days in their first-ever participation at the historic Japan IT Week held in May. The EDB has been highly encouraged to take part in this event due to the internationally-qualified professional software buyers participating in addition to the availability of openings for prospective JV partners for the surging Lankan ICT sector. The EDB shored up the timely support of Japan External Trade Representative Office (JETRO) and Japan IT Services Association (JISA) for this pioneering effort. The six Lankan ICT/BPM firms facilitated by EDB were Kasper Holdings Ltd., Just in Time Group, Openarc Systems Mgt. Ltd., IronOne Technologies, Orion Development Ltd., and hSenid Software International Ltd.
Japan has been identified by the EDB as promising market for the export of Lankan ICT/BPM. On 10 March, two visiting Japanese IT experts to Sri Lanka – Hidemi Yamamoto and Tsuyomu Tsuchiyama (who are also members of Japan Information Technology Service Industry Association) – with Kazuhiko Obama (Resident Representative, JETRO Colombo) during their meeting with Minister of Industry and Commerce Rishad Bathiudeen revealed that they were “looking to create business tie-ups between Lankan and Japanese ICT firms are planning to receive EDB facilitated top Lankan ICT company delegation to Tokyo for Japan IT Week this May”. In response, Bathiudeen warmly welcomed the JISA initiatives on Sri Lanka. Touted as Asia’s leading IT show, Japan IT Week is a 24-year-long historic series where top global industry VIPs and CEOs converge. The latest spring show was held at Tokyo Big Sight during 13-15 May and packed almost 83,000 international industry visitors from 45 countries along with exhibitor participation from 19 countries. It also saw 10% expansion of growth in the show with 140% increase in international visitor arrivals. It consisted of 12 parallel exhibitions on various industry themes, including big data, cloud computing, smart phone and mobile expo, software development, information security, web and mobile marketing, embedded systems expo and data storage, and also featured 91 international conference sessions on a wide range of topics. Many members of the Japanese Parliament as well as 321 executives of ICT/BPM and mobile industry segments that included IoT and M2M were keen participants. The first-ever Sri Lanka pavilion in this show stood alongside industry giants such as India, Belgium, China, Korea, Vietnam, Bangladesh and the Philippines. The next Japan IT Week (the autumn Japan IT Week) is scheduled be held from 28-30 October at Makuhari Messe, Japan with a projected exhibitor strength of 530 while the 2016 spring event of the same, to be held in May at the same venue as this year’s Lankan pavilion, is projected to pack 1,700 exhibitors. A seminar themed ‘Sri Lanka – Next IT and BPM Destination,’ which was organised by the EDB in collaboration with Sri Lanka Embassy in Tokyo and JETRO to introduce Sri Lanka’s ICT exporters to the Japanese ICT industry at Japan IT Week, was attended by 30 Japanese and international participants. Sri Lankan ICT/BPM exports are surging and EDB believes they will hit $ 1 b this year, a year earlier than expected. Japan is Asia’s high-tech powerhouse. The 2014 estimate for global production by Japanese electronics and IT companies stands at $ 362 b.